Emma Christensen likes to brew both alcoholic and non-alcoholic fermented drinks. This is a recipe for White Peach-Lavender Soda. Some of the ingredients are white peaches, lavender flowers, sugar and lemon juice. She describes the soda as “peachy-keen”, “Fresh” and “fizzy.” I LOVE this recipe! 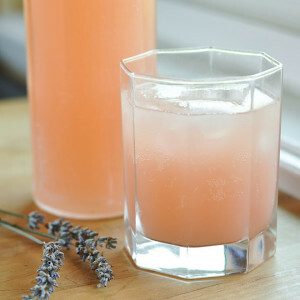 Click on the Homemade White Peach-Lavender Soda Recipe link below for the full recipe.